You will not find a cleaner condo for this price. This tastefully decorated 2 bedroom/2 bath unit sits in the Heart of Marathon. This second floor corner condo over looks the Sombrero golf course. Turn key ready this condo has an updated kitchen with granite counters and tile back splash. Tile flooring, plantation shutters, and impact resistant sliding glass door to your own private balcony. Have your boat docked right outside your door and take a cruise through Boot Key Harbor which flows into the Atlantic Ocean. 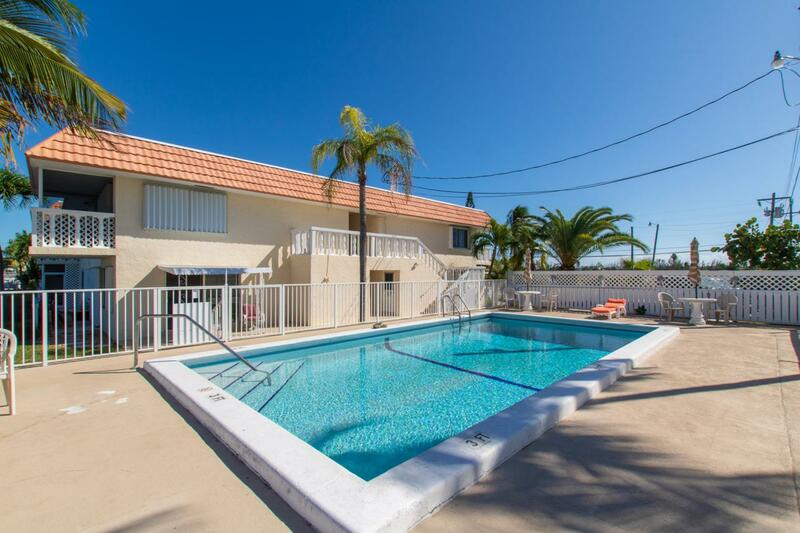 Swim in the heated pool, go for a short bike ride to Sombrero beach or play a round of golf. Close by are plenty of restaurants and shopping centers. Laundry facility on site with new washers and dryers. Financially this association is in great shape all reserves have been met. Listing courtesy of Frank Griffiths of Re/Max All Keys Real Estate (Marathon). The data relating to real estate for sale on this website comes in part from the Internet Data Exchange program of the Florida Keys MLS, Inc. Real estate listings held by brokerage firms other than Vacasa Florida LLC are marked with the MLS Logo and detailed information about them include the name of the listing broker's office. Vacasa Florida LLC is Key West and the Florida Keys' most innovative real estate team. IDX information is provided exclusively for consumers' personal, non-commercial use and may not be used for any purpose other than to identify prospective properties consumers may be interested in purchasing. Information is deemed reliable but is not guaranteed accurate by the MLS or Vacasa Florida LLC. Data last updated: 2019-04-18T18:41:24.38. Licensed in the State of Florida, USA.